Setting up a new blog is an exciting project. But working out what your site will need and how to get started can be confusing and time-consuming. That’s why we have put together this step-by-step guide to help you start a blog. By the end of reading, you will be ready to start a blog of your own. Domain Name – This is your site’s URL (eg – www.busybloggingmom.com). You will need to buy your new site’s domain name through a domain registrar like 123Reg. Coming up with a relevant domain name that isn’t already in use can take time so if you are struggling try using a tool like Domain Wheel. Website Hosting – Your website’s hosting provider will host your site on its servers. We recommend using SiteGround as it is reasonably priced and provides a fast and secure hosting service. The majority of hosting providers will install WordPress for you. This leaves you to consider the next challenge: which theme should you choose. Whatever type of blog you want to create, an attractive and user-friendly theme can make the difference between a successful website and a total failure. There is a wide assortment of built-for-purpose themes that have been designed for specific website niches. These can be purchased from theme shops and developers like Themeforest and StudioPress. Or you can download a theme for free from the WordPress repository. Brunch Pro has been created by Feast Design Co and can be purchased on the StudioPress website. This minimal theme boasts flexible widgets, a useful Customizer, and an advanced recipe index, making it a great theme choice for a food blog. Health Coach has been created for the booming health industry. Available from Themeforest, it is an ideal blog for personal trainers, fitness professionals, and other individuals in the health and fitness niche. Journey is a popular travel blog that can be purchased on Themeforest. It includes 8 demos, 11 blog layouts, fullscreen background images and video, and much more. Fashion Chic is a minimal WordPress theme for lifestyle and fashion blogs. It has been designed by Theme Junkie, a prominent theme developer. Shutter is a show-stopping photography theme, created for photographers, designers, photo studios and photobloggers You can purchase this theme from ThemeFuse, another reputable theme developer. If you would rather opt for a multipurpose theme, that will allow you to design a blog to your exact specifications, check out our article Divi vs Avada. If you are using a generic theme, then you will need to install a recipe plugin. This will ensure your recipes and ingredients are displayed in an easy to read format. WP Recipe Maker is a free WordPress plugin that will showcase recipes, ingredients, and methods for dishes in a stylish and user-friendly layout. Displaying stunning images on a travel blog is a must. A great travel blog will bring places alive for your audience, and inspire their travel. Full-screen photos and images presented in slider and lightbox formats will help achieve this goal. Slider Revolution is an impressive premium WordPress solution that can be purchased on Canyon Code. This plugin gives you the option of displaying video as well as images, helping to share your travel experiences in attention-grabbing visuals. Many photography blogs make money through selling their images online. To set up this, install and sign up with WooCommerce to convert your blog into an eCommerce store. WooCommerce also sell a premium WooCommerce Photography extension, helping to assist photographers in the everyday management of the sales process. For those of you promoting a fitness service alongside you fitness blog, you should consider installing a calendar to help your clients view available classes or sessions, as well as book online. WP Booking Calendar is an effective WordPress plugin that will enable you to display an interactive calendar on your site. Clients can make reservations and pay for classes, making it easy for you to run your business through your fitness blog. Building a following on Instagram is crucial for fashion and lifestyle bloggers. Once visitors have left your site, Instagram is an effective way to keep in contact with them, share your stories and promote your content. Embedding an Instagram feed in your WordPress blog will help your website audience quickly find and follow you on Instagram. The Instagram Feed is a free WordPress plugin that will display your most recent Instagram images on your site in a number of attractive feed layouts. For more generic plugins that all WordPress websites will benefit from installing, check out our article Essential WordPress Plugins for Your Blog in 2018. There are numerous ways to monetize blogs, and again, the strategies you choose will depend on the type of blog you create. However, joining affiliate programs that support your blog’s content, and adding the affiliate links to your site is one of the most lucrative monetization options. ThirstyAffiliates is a premium plugin that will cloak affiliate links and automatically add affiliate links to your content based on given keywords. It will also proactively fix broken affiliate links, as well as provide affiliate analytics so you can track conversions. If you are interested in using ThirstyAffiliates, consider trialing their free plugin first to check out if it meets your site’s needs. Ninja Popups – Display social popups on your blog, asking visitors to follow you on a selection of social media channels. Orbit Fox – Add social sharing buttons to your website to get your content shared on social media and reach a wider audience. Juicer – Create a stunning social media feed and embed it in your blog’s posts or pages to show your audience what they are missing by not following you. By following these actionable steps, you can quickly and easily start a blog. But once you have your site up and running, don’t think your work is done. Now you need to get creative with your content, promote your blog, and grow a loyal following of regular readers. Good Luck! Megan, inspiring article. I wish I read your article years ago. I still vividly remember the days I paid $750 for a not-so-great web design. I could have designed it much better than that using WordPress as you mentioned. However, after several years, I have been running a successful blog and co-founder of a successful company. I like the way you generously giving out information without expecting anything in return. 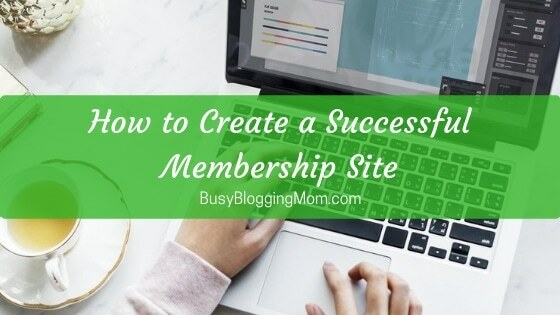 I would love to interview for our new blog post titled Successful bloggers list. Please let me know if you could spare a few minutes? Thanks.